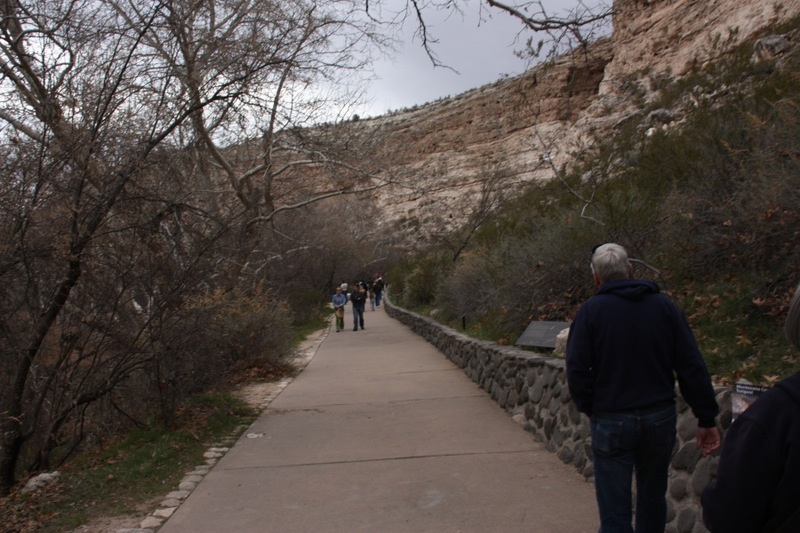 While in Arizona for the Rock 'n' Roll Arizona Half Marathon we took a detour to see Montezuma Castle National Monument. 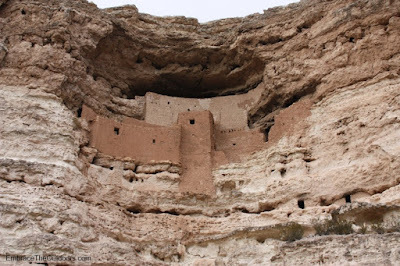 Montezuma Castle is one of the best preserved cliff dwellings in North America. The 1000 year old 20 room dwelling built along a limestone cliff gives a glympse into the lives of the Sinagua people who lived there. To reach the monument we drove north on 17 from Phoenix for 1.5 hours. 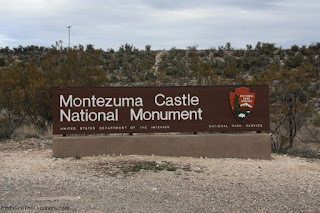 We took exit 289 towards Montezuma Castle and after half a mile turned left onto Montezuma Castle Road. We drove another 2 miles to reach the monument. We parked in the lot in front of the visitor center. Upon entering the visitor center we paid the $5 per person entrance fee. We proceeded to the doors on the opposite side of the center and onto the 1/3 mile loop. The loop is completely paved and is handicap accessible. The path loops around a beautiful sycamore grove. On our right there was a great view of the incredible five story cliff dwelling. Along the self guided walk there are several benches allowing people to sit and imagine what life there must have been like 1000 years ago. At the end of the loop trail we got a great up close view of the Springfield Beaver Creek, one of only a few perennial streams in Arizona. We finished our loop by checking out the exhibits at the visitor center before leaving. Ranger programs are offered daily. Montezuma Castle is definitely worth a visit if you're in the area. 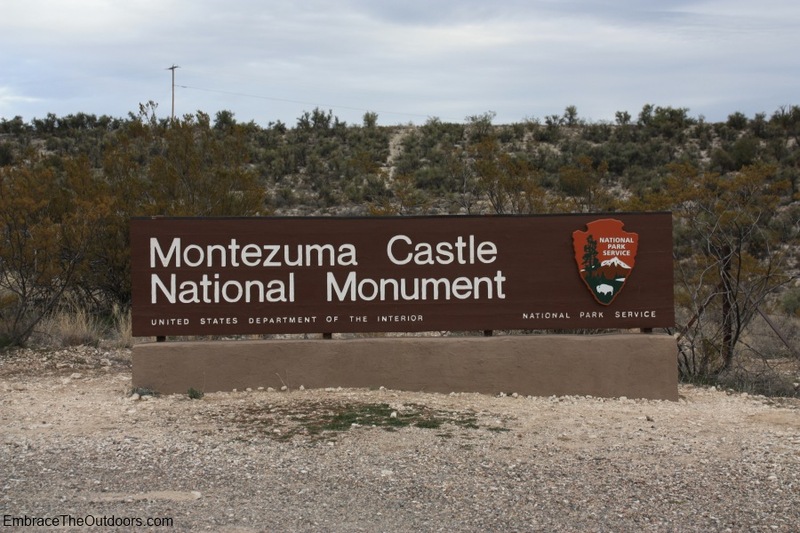 A great place to stop if like us you're traveling from the Phoenix area to Sedona. Also note the Tuzigoot National Monument is also in the area although we didn't get a chance to go there on this particular trip. 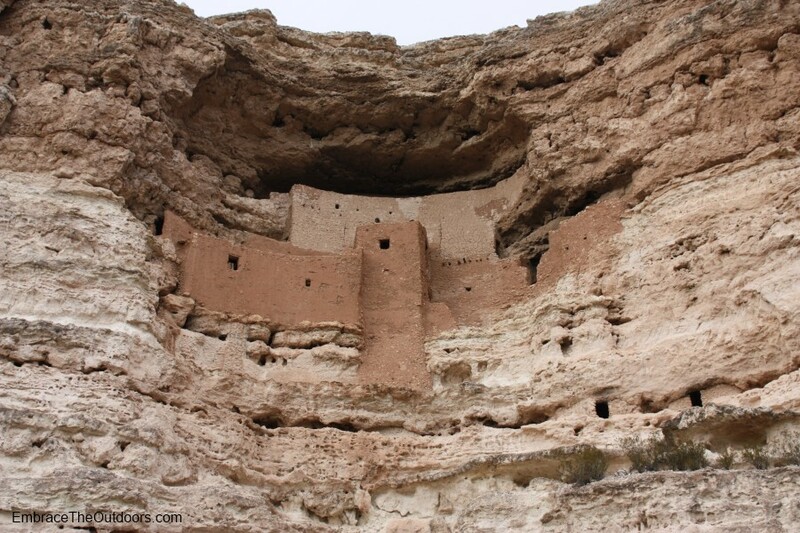 The Montezuma Castle is always an interesting place to visit. 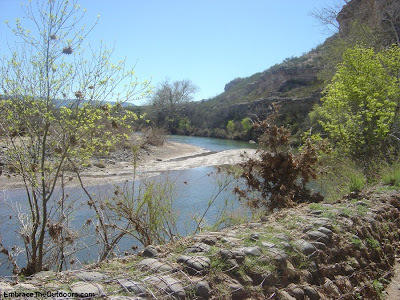 I love the history of this area including the stories about the Sinagua.